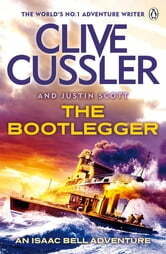 The Bootlegger is the seventh of Clive Cussler's bestselling Isaac Bell novels. It is 1920. Prohibition and bootlegging are in full swing. When Joseph Van Dorn is shot and nearly killed while in pursuit of a rum-running vessel, his friend and employee, Isaac Bell, swears to him that he will hunt down the lawbreakers. But Bell doesn't know what he is getting into. When a witness to the shooting is executed in a manner peculiar to the Russian secret police, it becomes clear that these were no ordinary bootleggers. Bell is facing a team of Bolshevik assassins and saboteurs - and they are intent on overthrowing the government of the United States. 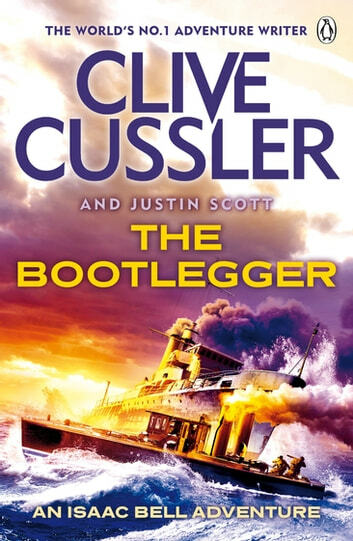 An adventure laced with secret cargo and assassins, The Bootlegger is the seventh of Clive Cussler's Isaac Bell novels, and follows The Spy, The Thief and The Striker. A good read, a little far fetched. This is a good story, with action, intrigue, subdued love - but it is a bit like a bond movie - lots of fun while you're reading it, but too far fetched and forgetable. Buy it, but only with a big discount. This is not a great book, barely a good book but an average book, simple and perfect for a airport novel, but not one to get excited over. It takes a while for the storey to really get going and feels repetitive at times and the finally is disappointing but it did the job of filling acouple of hours. Not something I'd choose to read again though.